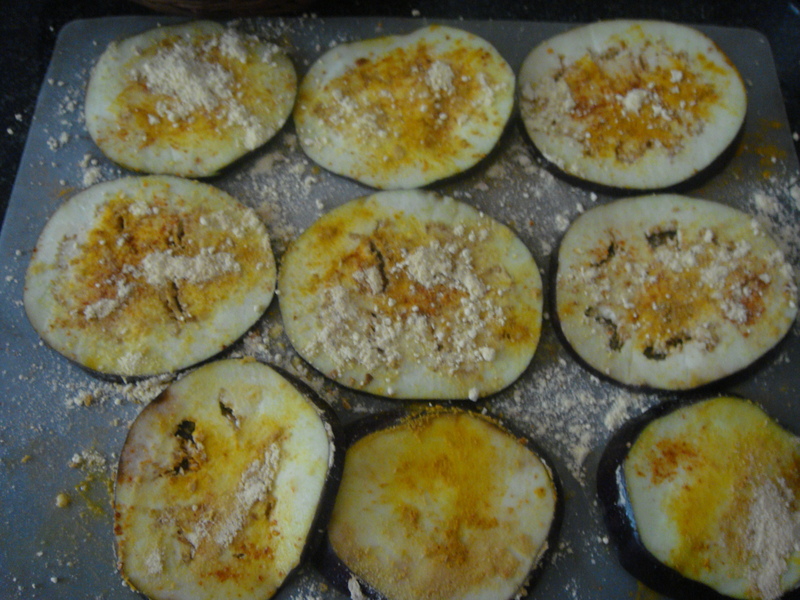 Cut the brinjal into around 1/2″ slices. Drop the slices in a bowl of water for around ten minutes. Drain the water and spread the slices dry in a tray. In a non stick pan roast gram flour on low flame, taking care not to over roast .Cool and keep. Mix in a bowl chili powder,turmeric, amchoor/ dry mango powder, Cumin powder, and salt.Apply this mixture on the both sides of all the brinjal slices (marinate), keep for ten minutes. Sprinkle roasted gram flour / besan on all the slices, both sides. Heat little oil in frying pan.Place the brinjal slices gently in the pan. Shallow fry the slices on low heat. 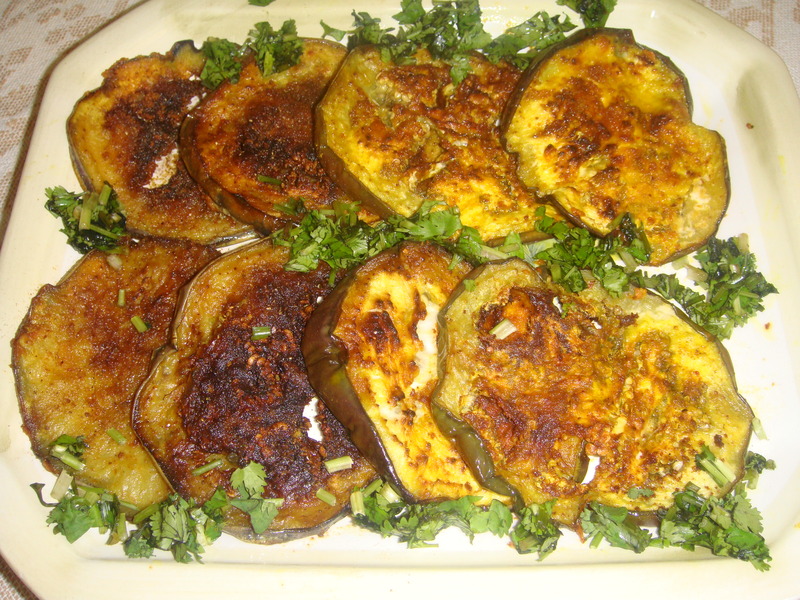 Brinjal absorbs oil so little oil is added gradually while frying. Turn the slices around and fry till they turn golden brown on both sides. Note: Can be served as an appetizer before the main serving or as a side dish with the main course.This delicious dish can be served with rice and all varieties of Indian Breads. This dish is so attractively displayed can’t wait to eat. Well done chef! Know this is out of this world.